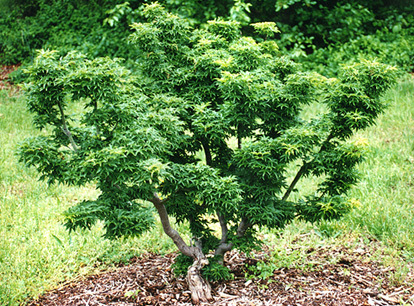 Heavily curled green leaves give an interesting texture to this compact, shrubby tree. Popular for bonsai, as a container subject or in small gardens. Highly sculptural form improves with age.